This complimentary service transports you to and from Orlando International Airport if you stay at select Disney World Resort hotels. 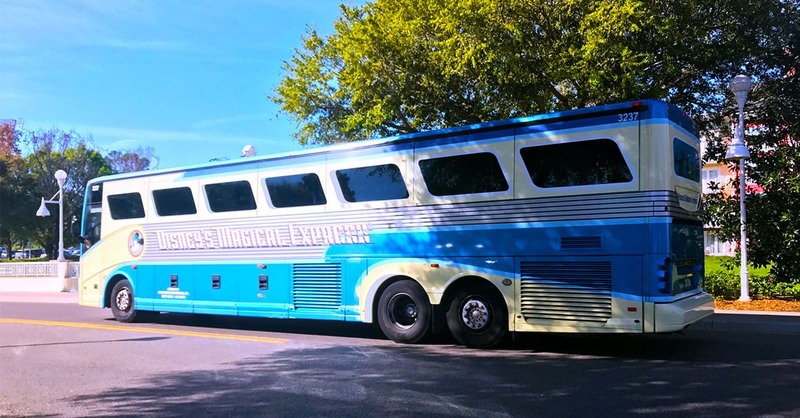 Upon arrival, you’ll ride a Disney Magical Express bus to your resort. Remember to keep your valuable and essential items with you because luggage is transported separately and will arrive in your room up to 3 hours later. Check-out is also a simple process. You’ll receive a transportation notice the day before you leave with all the important information you’ll need. Resort Airline Check-In allows you pick up your boarding passes and check your luggage at your resort hotel instead of scrambling at the airport. This service saves time and money.